MTV’s popular youth drama, Kaisi Yeh Yaariaan Season 2, has been seeing a lot of ups and downs in the recent episodes. Now the viewers will see a major dramatic track that will leave them shattered. The BBC Productions show will soon see Manik (Parth Samthaan) lashing out at Nandini (Niti Taylor). In fact, the boy would also be seen being rude to her lady love. As seen so far, Harshad (Abhishek Malik) irks Manik by mentioning Aryaman’s (Karan Jotwani) closeness to Nandini. What would happen next? Will Aryaman be the reason behind Manik and Nandini’s fights? Well, we must say that there is too much drama happening! We tried reaching Parth and Niti, but they remained unavailable. Straight-backed, simple, spiritual and swift, Utkarsh Gupta’s complex and sinuous dance moves has impressed the world. Talent doesn’t just end on his nimble foot, as he is also a star performer in MTV Kaisi Yeh Yaariaan (BBC) wherein he plays Dhruv. But all this would soon get lost in the clouds of mist, as the cute and good looking lad has chosen to quit the popular series. Utkarsh, who is currently also seen in the reality project Splitsvilla, has put down his papers and will shoot last for KY2 on 10 November. Wish you great luck Uttu! It’s time for some action packed scenes in MTV Kaisi Yeh Yaariaan (BBC)! Things are all set to heat up between Manik (Parth Samthaan) and Maddy (Yuvraj Thakur). As viewers would know, Manik is back and will soon rejoin Space Academy. Manik will miss the magic of Fab5, and would thus decide to bring their charm back in the music world. Meanwhile, Maddy will choose one of Manik’s songs to perform at the concert. Dhruv (Utkarsh Gupta), who would get to know about it would get tensed and inform the same to Manik and Nandini. So how will the angry man react? Well, Manik will get furious and have a tiff with Maddy. And soon, the argument would turn into a fist fight, wherein Maddy would end up hitting Manik on the head. The young boy, who had just survived an accident would fall unconscious. What will happen next? Will this have an effect on Manik’s health? Our efforts to reach Parth remained futile. Can you sense a breezy feel around you? Isn’t love truly in the air? Well, we will tell you why the sudden change in our surrounding. Our, dashing romantic hero Manik (Parth Samthaan) is all set to surprise to his lady love Nandini (Niti Taylor) in MTV Kaisi Yeh Yaariaan 2. Post his return from the major accident, Manik had been quite aloof. Sensing him change, Nandini would confront him. Like always in his true style, Manik would tease Nandini and tell her that he is going away. Angered by his statement, Nandini would say that she will also find a doctor for herself and head out. And much to her surprise, Manik will come around and shower her with flower petals. This would leave the girl all misty eyed, and the two will share some lovey dovey moments. This is not the end guys! Viewers would also get to see the first ‘I Love You’ of season 2. Manik would finally vent out his emotions to Nandini, and the two will indulge in some passionate time. Hit the comment box below to share your thoughts! We could not reach Parth for a comment. Tellychakkar.com readers would remember being informed about the talented and good looking Suyyash Rai being roped in to play a pivotal role in MTV’s popular show Kaisi Yeh Yaariaan (BBC), and now here comes a sad piece of news for the fans of Suyyash. 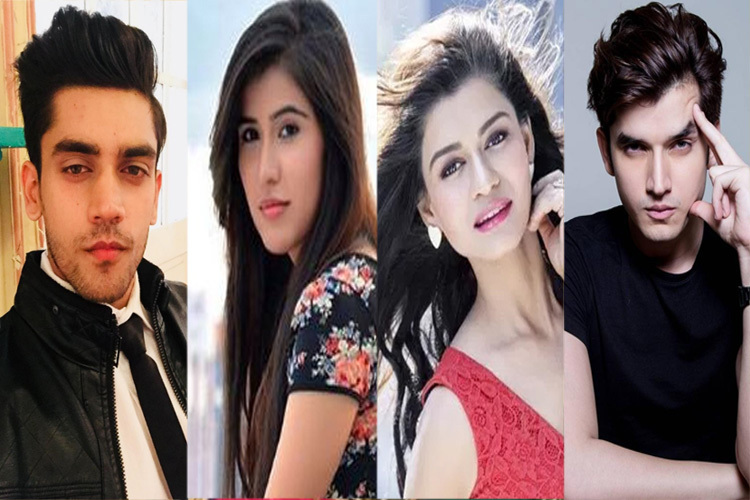 The actor will no longer be a part of the project and has been replaced by Dishank Arora, as reported by the media. When we buzzed Suyyash on the same he refused to comment but agreed there were issues with the team and thus they parted amicably. We wish him luck for his future ventures. End of Fab5 in MTV's Kaisi Yeh Yaariaan? MTV’s popular youth show Kaisi Yeh Yaariaan (BBC Worldwide Media) has been presenting the best of drama getting viewers hooked to the show. And now gear up to see some shocking twists that will add some more zing to the tale. The show which portrays the best of friendship through the Fab5 group. But the entry of Harshad (Abhishek Malik) changed things for the group. Harshad being Aliya’s (Krissann Barretto) brother, who tried to harm Cabir (Ayaz Ahmed), the group had been having a hard time wanting to give him a stern punishment. Aliya too will be in double minds whether to support her friends or be by her brother’s side. But Cabir would not relent and also find support in his other friends. This would irk Aaliya and she would threaten to end her friendship with them. Also Dhruv (Utkarsh Gupta) who has been trying to mend his differences with Aaliya would go on to support her leading to a lot of trouble among the friends. So will this be the end of Fab5? Or will their love for each other help them get back? We called Utkarsh and Abhishek but they did not answer our calls. Are you excited about this upcoming sequence? Share your views in the comment box below. MTV's Kaisi Yeh Yaariyan will soon have an interesting twist in the storyline with Ayaz Ahmed’s character Cabir turning gay. The show portrays the life of five buddies, and the current track shows Cabir as a womaniser, who is always surrounded by beautiful ladies and someone is always flirting with them. The twist is that Cabir is gay, and too embarrassed to disclose this to anyone. But now, the cat will come out of the box. While homosexuality is a less spoken about issue in the country, MTV, as a youth channel, believes in highlighting it. To highlight the gay act in the show as well, the channel has associated with an NGO 'Yaariyan', which helps those who are fearful about coming out of the closet. Talking about essaying a gay character, Ayaz said: "I find my character turning gay, a good and interesting turning point for the show. The reason being is that nowadays not everyone gets to play such a character. "In fact, I was quite kicked about it and I'm looking forward to shooting my new role." The actor says he has a few friends who are gay and that he respects their way of living.